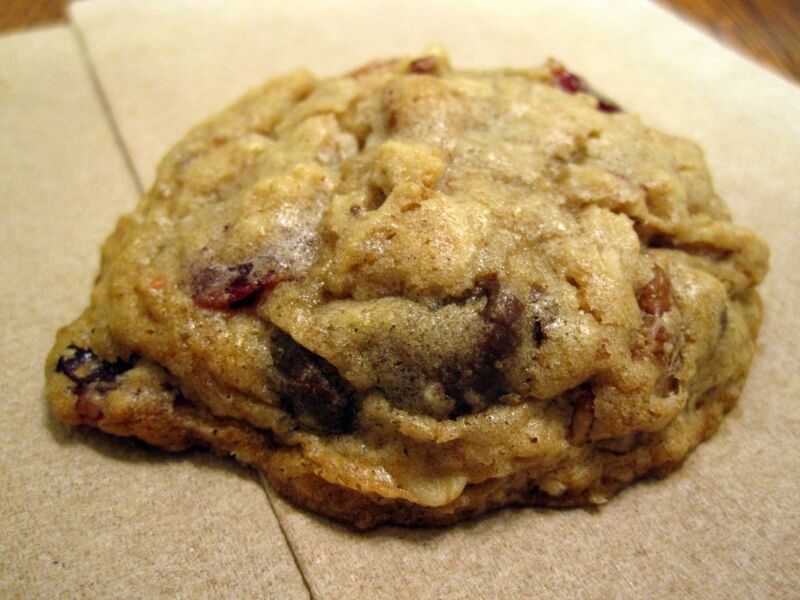 This is an amazing chocolate chip cookie. 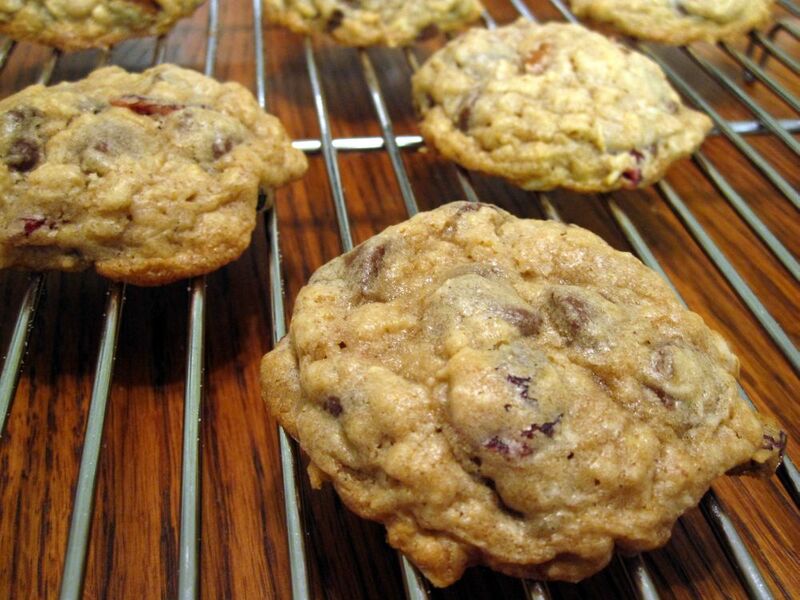 It's chewy and spicy (from cinnamon!) and attractive and thick! 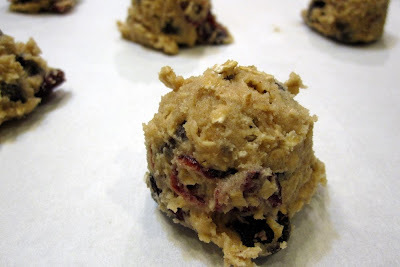 It's also festive for the holidays with the red polka dots of dried cranberries. And let's talk for a second about cranberries. I was just at my parents' house for Thanksgiving weekend. My mom went crazy with the cranberries. She bought two giant bags of fresh and two more bags of dried. She said, "I'm sure we'll find a use for these." Ha! Well, it would take weeks of baking up a storm to use up that many cranberries, but I did bake several cranberry-required desserts over the weekend and managed to make quite a dent in my mom's cranberry stash. So ok, maybe she was kind of right. 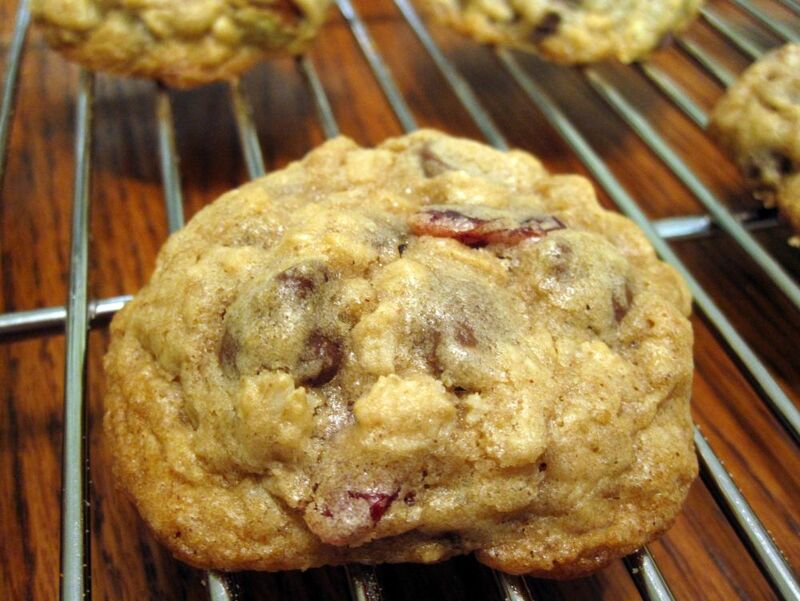 Cranberries are a really special ingredient because they're seasonal and gorgeous. I absolutely LOVE them! And from the looks of my mom's giant cranberry purchase, she loves them, too. But over the weekend, we heard on the radio that a lot of people have an aversion to cranberries like they have an aversion to marzipan and caviar. The radio host said it's a love it or hate it kind of food, no in between. Well, I hope you love it, because I'll be sharing more cranberry recipes with you soon! 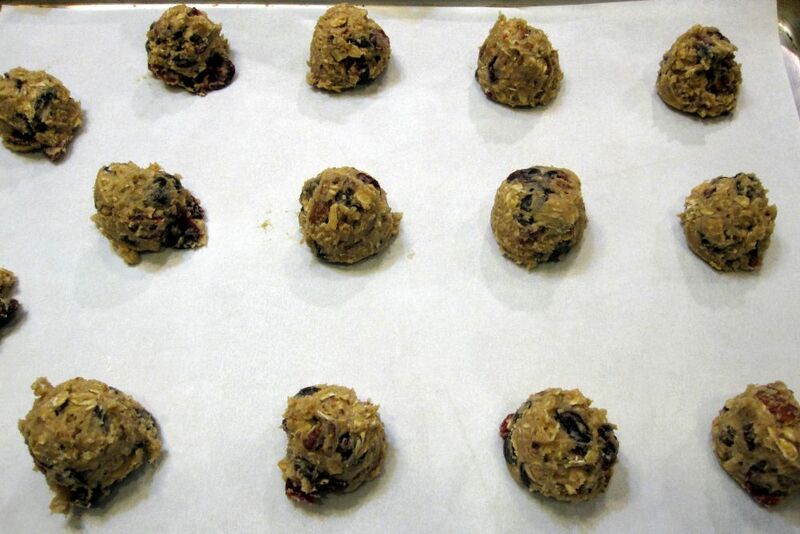 Preheat the oven to 325 degrees F. Line baking sheets with parchment paper or silicone baking mats. 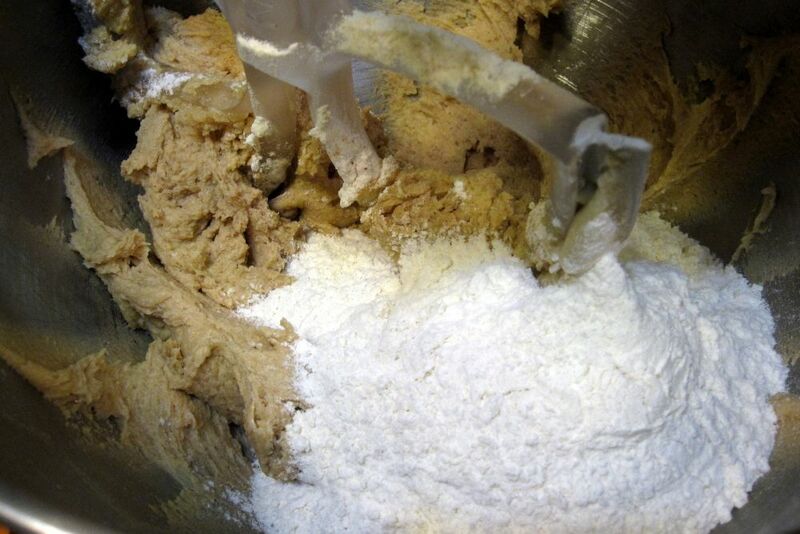 Sift together the flour, baking soda, cinnamon, and salt onto a large piece of wax paper. 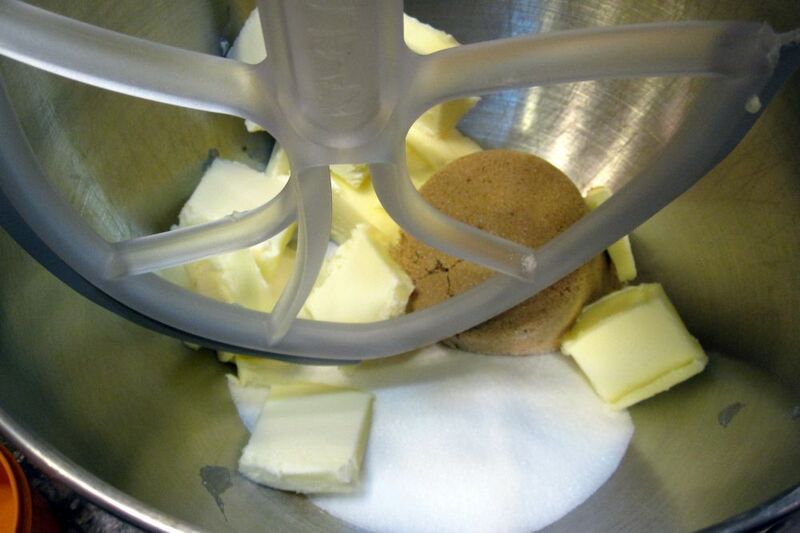 In the bowl of a stand mixer, beat together the butter, brown sugar, and granulated sugar. 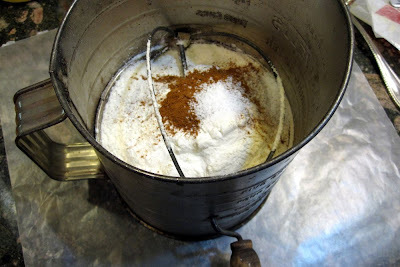 Should only take a few minutes, but the mixture should be completely smooth. Scrape down the sides as necessary to incorporate all of the mixture. Add the eggs one at a time, beating for about 30 seconds after each addition. Scrape down the sides. Add the vanilla and beat another 15 seconds. On low speed, gradually add the dry ingredients (that you sifted onto wax paper) by lifting up and folding the wax paper and aiming it into the bowl. Mix for about 1 minute, until the mixture is well-combined. Add the chocolate chips, oats, and cranberries (and pecans if using) and mix on low for another 30 seconds. The dough will be pretty thick with these latest additions. It's a lot of add-ins! 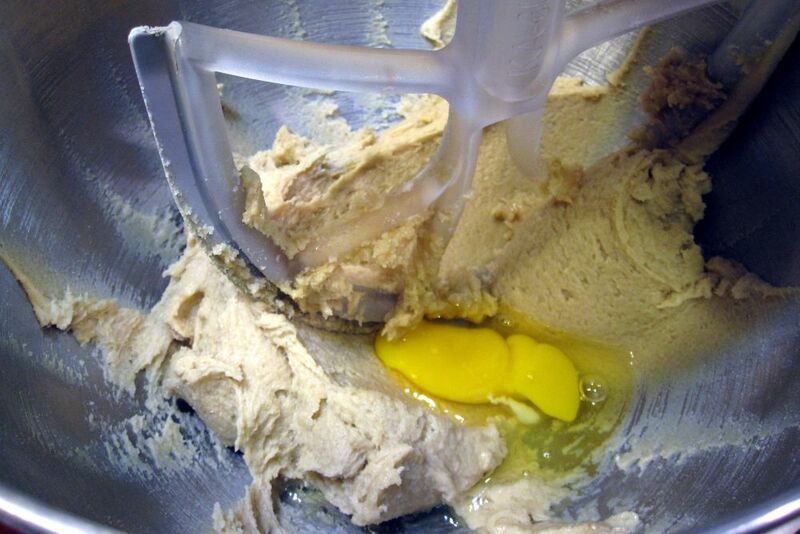 Take the bowl out of the stand mixer and continue stirring with a wooden spoon until the add-ins are evenly distributed. 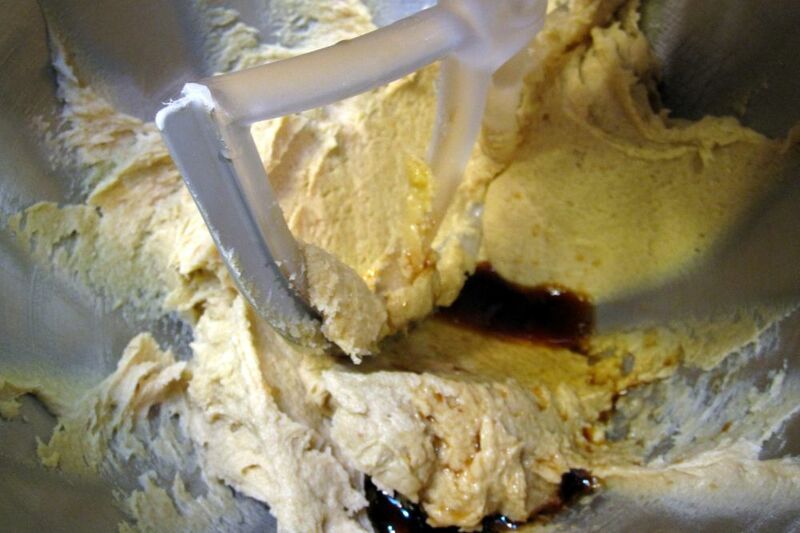 Use an ice cream scoop or a tablespoon to drop heaping tablespoons onto the baking sheets, at least an inch apart so they don't grow into each other. The larger the cookie you decide to make, the more space you will need in between them. Bake the cookies on the top and center racks of the oven for 10-15 minutes depending on cookie size. Halfway through the baking time, switch the sheets between top and center racks and turn them around from back to front. 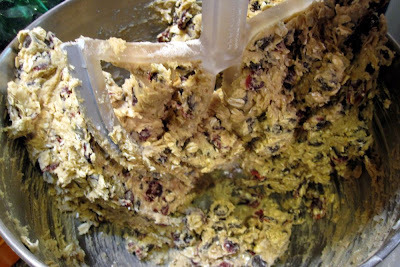 If you can't bake all the cookies at once, leave the unbaked cookie dough in the bowl out on the counter at room temperature while you finish up baking the first batch (as opposed to chilling the dough). 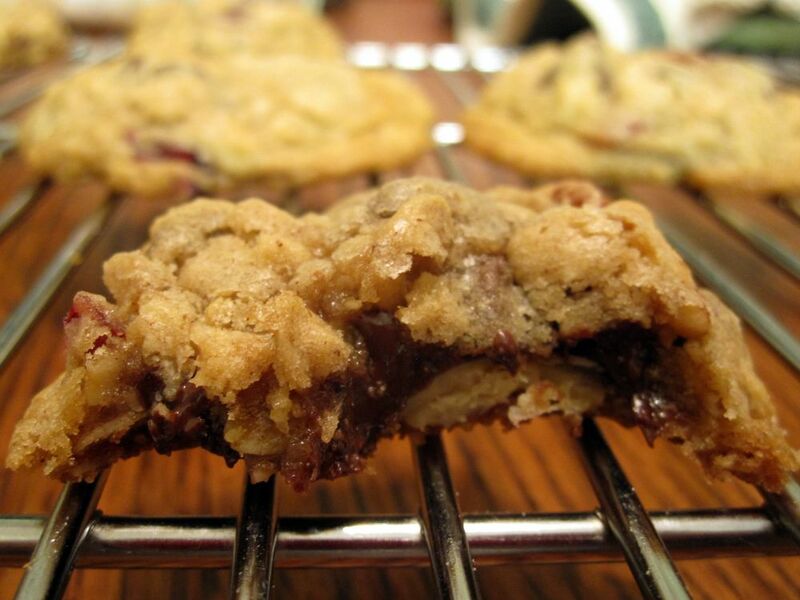 Remove the baking sheets from the oven and cool the cookies on the baking sheets for about 30 minutes before using a spatula to slide them onto a cooling rack. Store in an airtight plastic container. They'll keep well for a few days out on the counter or you can refrigerate them and they'll last for a few weeks (2 or 3 easily)! Or you can do what I like to do and freeze a bunch for later. Perfect little mounds of yumminess! Bake at 325 degrees for 10 to 15 minutes, cool, and enjoy! I love that you took something so simple and gave it a kick with fun ingredients! 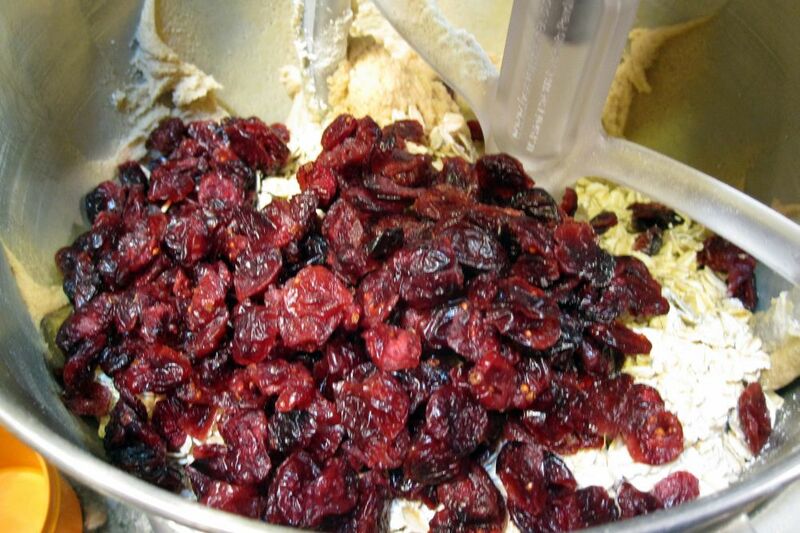 Even the dough looks yummy! I just made these, very tasty. But they spread a lot and became much bigger than I expected.